Catholic Charities in Terre Haute was established as a ministry of the Archdiocese of Indianapolis in 1973. The primary mission of the agency is to serve the poor, the homeless, the elderly, the neglected children and the needy. Ryves Youth Center – Houses a pre-school, provides afterschool programming, operates a latch-key program, and offers a weekly backpack program. Terre Haute Catholic Charities Foodbank – Serves the food insecure population in Clay, Greene, Knox, Parke, Sullivan, Vermillion and Vigo counties through a network of 89 emergency food distribution member agencies and 11 mobile pantries. Feeding the poor has always been a priority of this ministry. That’s why in 1980 the Terre Haute Catholic Charities Foodbank was established by John E. Etling and Rev. Donald Schmidlin as part of the national food bank network, Feeding America (formerly America’s Second Harvest) serving both individuals and organizations regardless of religious affiliation. The Foodbank’s mission is simple: to feed the hungry. The Foodbank serves those in Clay, Greene, Knox, Parke, Sullivan, Vermillion, and Vigo counties through a network of emergency food distribution member agencies and engages the region in the fight to end hunger. One in six Hoosiers, including one in four children, more than 43,000 people, living in west central Indiana are food insecure – meaning they have limited or uncertain access to sufficient nutritious and safe food in a socially acceptable manner. Terre Haute Catholic Charities Foodbank serves more than 32,000 of those individuals through a network of 89 member agencies and 11 mobile pantries. Last year alone, the Foodbank solicited, certified and collected, monitored and channeled 2.6 million pounds of food (the equivalent of 2 million meals) to these charitable member agencies who are feeding hungry people. Terre Haute Catholic Charities Foodbank serves over 32,000 of the 43,000 people who are food insecure in west central Indiana. The Foodbank partners with local community groups and faith-based organizations to operate 11 mobile pantries each month providing food to approximately 1100 families living in rural, underserved areas. The Foodbank operates a monthly Bread & Produce Market providing highly perishable bread and produce directly to approximately 100 families each month. Last year, the Foodbank grew the BackPack program from the Ryves Youth Center location to include distributions at schools in Parke, Vermillion, and Sullivan counties. Through this program, children receive a bag of child-friendly food on Friday afternoons to help feed them through the weekend. 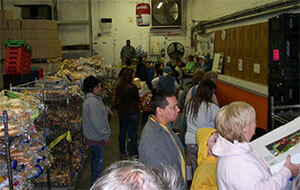 The Foodbank is the single largest source of emergency food programs in the seven-county service area. Simply stated, the extended downturn in our economy has put stress on individuals and families. An increased number of people have faced a loss of jobs, foreclosure and more. As reported in Hunger in America 2010, 78% of food pantries served by Terre Haute Catholic Charities Foodbank experienced an increase in the number of clients since 2006. In addition, food pantries, soup kitchens, and shelters in our service area reported that they were in greatest need of dairy products such as milk, yogurt, and cheese, as well as proteins like meat, poultry, fish, and eggs. These perishable products are expensive for the agencies to purchase and because of quality and safety issues they cannot be obtained through food drives. To meet this demand, the Foodbank significantly increased (39%) the amount of food distributed, including perishable products, from 1,276,971 pounds in 2006 to nearly 1.8 million pounds in 2009. 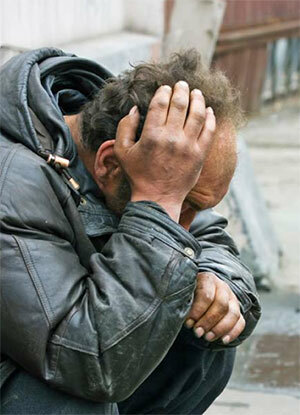 But, the need is even greater - 45% of the pantries reported having to turn away clients because of a lack of food. Even more of a concern is the fact that 45% of the recipients of food are children under the age of 18 and seniors age 65 and over. To address these critical issues, the Foodbank directors and the Advisory Council developed a strategic plan with the long-term goals of significantly increasing food distribution by an additional 615,000 to 1 million meals per year (the equivalent of an additional 800,000 to 1.3 million pounds per year). Warehousing and distributing 2.6 million pounds of food in 2010 put a tremendous strain on the limited capacity at the current location triggering logistical problems throughout the distribution channel as we quickly disbursed this food to member agencies. The Foodbank must expand its current warehouse and refrigeration capacities to achieve our goal of lessening the meal gap within our service area. This amount will cover the purchase of a logistics facility and provide 30,000 square ft. of warehouse and office space … more than tripling the current capacity of the Foodbank. The total also will include the expense to add the necessary refrigeration capacity designed to meet the storage and throughput of perishable foods. *In addition to the Basic and Visionary Needs, we will need to raise an additional $200,000 per year for each of the next 5 years for Ongoing Program Support. As reported in Hunger in America 2010, 78% of food pantries served by Terre Haute Catholic Charities Foodbank experienced an increase in the number of clients since 2006. Despite the fact that our Foodbank significantly increased (39%) the amount of food it distributed in 2009 compared to 2006 (nearly 1.8 million lbs. in 2009 versus 1.3 million lbs. 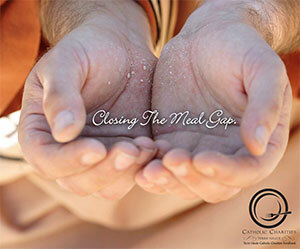 in 2006), 45% of the pantries reported having to turn away clients because of a lack of food. 45% of the recipients of emergency food are society’s most vulnerable – children under the age of 18 and seniors age 65 and over. Map the Meal Gap projects that there are 43,400 people in the seven-county service area that are food insecure – a need of 7,250,933 meals. 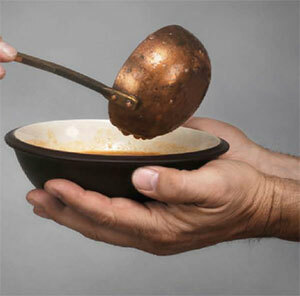 The Foodbank provided 2,000,000 meals in 2010 – leaving a gap that exceeds 5 million meals. 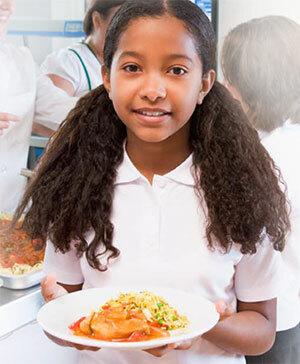 Through your compassion and generosity, the Foodbank will be able to collect, sort, store, and channel enough food to serve the additional 11,000 people who are currently food insecure; as well as provide hope of a better academic future for children to succeed in school as a result of receiving adequate nutritional food. Your gift will provide help and create hope in the lives of countless neighbors in our community – and will enable us to reach more individuals and families with our mission to feed the hungry. We will immediately be able to increase our food distribution capacity by an additional 615,000 to 1 million meals per year and feed more people who are food insecure in the service area. As research indicates, more children will have the opportunity to perform better and succeed in school because they are receiving adequate nutritional food. The expanded facility will allow the Foodbank to participate in larger purchasing programs that will accommodate its capacity to further mitigate food insecurity in the region.